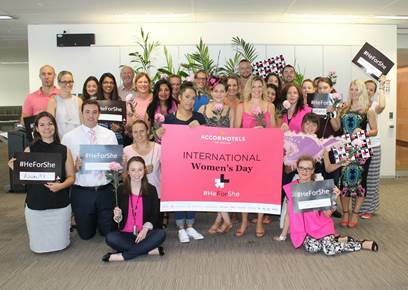 To celebrate International Women’s Day 2016 on 8 March, AccorHotels teams across the globe have joined together to strike a pose to show their support for women in the workplace. International Women’s Day celebrates the social, economic, cultural and political achievements of women on a global scale. International Women’s Day is for all defenders of gender equality and as a member of the UN’s HeForShe movement, AccorHotels has committed to changing mentalities in the hospitality sector to promote women’s empowerment.